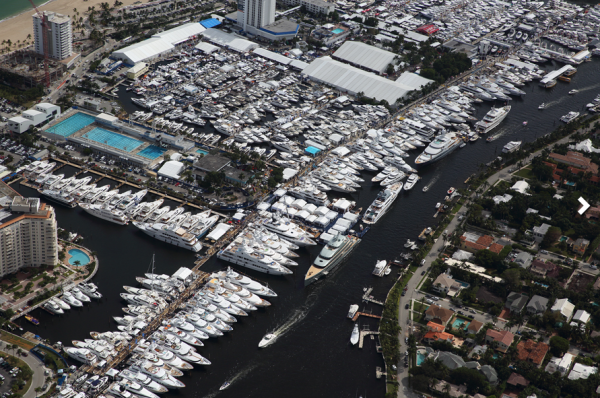 The Marine Industries Association of South Florida (MIASF) and Informa Exhibitions have signed a 30-year lease extension with the Bahia Mar Fort Lauderdale Beach Hotel & Yachting Center to keep the Fort Lauderdale International Boat Show (FLIBS) at the facility for the foreseeable future. The new lease contains two 10-year extension options that could see FLIBS remain at Bahia Mar for the next 50 years. As well as Informa Exhibitions planning to improve the show, The Fort Lauderdale City Commission has voted to allow the operators of Bahia mar, Rahn Bahia Mar LLC, to submit plans for a much-needed redevelopment of Bahia Mar’s 157,827sqm site. In an economic impact study published in 2016, commissioned by Show Management under its previous ownership (Show Management was subsequently purchased by Informa Exhibitions) and conducted by Thomas J Murray & Associates, in conjunction with the University of Florida, it was estimated that FLIBS contributes around $857.3 million to the Floridian economy.